Dell launches its new Alienware 15R4 15.6-inch and Alienware 17R5 17.3-inch laptops as part of the official release of the latest-generation Intel Coffee Lake processors. On the program, Hexa Core processor, high-end AMD or NVIDIA graphics card up to the GTX 1080 or Thunderbolt 3 connector. 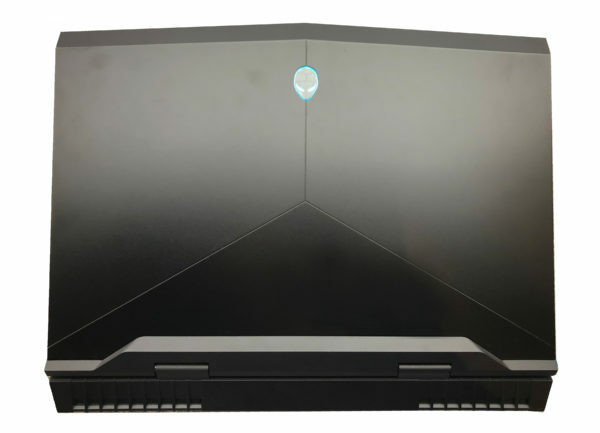 The new Alienware 15R4 notebook weighs 3.49 Kg and measures 389 x 305 x 25.4 mm. It runs Windows 10 with a 68Whr Li-Ion battery, with the option of a 99 Whr battery. It is announced in Epic Silver (silver) and Black (black) design with anodized aluminimum frame and magnesium alloy with metal reinforcements. The keyboard is an Alienware TacX model with n-key rollover supporting up to 108 keystrokes per minute (2.2mm stroke) with 5 programmable keys and 4-zone RGB key backlight system with AlienFX. Architected around an Intel CM246 chipset integrates a processor Coffee Lake last generation Quad Core i5-8300H (2.3 GHz), Hexa Core i7-8750H (2.2 GHz) or Core Hexa i9-8950HK (2.9 GHz). Regarding the on-board graphics card, Alienware offers either an AMD solution with the dedicated Radeon RX 570 8GB GDDR5, or an NVIDIA GeForce GTX 1060 6GB GDDR5 solution (overclocked), GeForce GTX 1070 8GB GDDR5 (overclocked) or GeForce GTX 1080 8 GB GDDR5. On the display side, there is a 15-inch 60Hz G-Sync (or not) IPS Full HD screen (1920×1080), or 5ms 60Hz G-Sync (or not) IPS 4K (3840×2160) or 5ms TN 120Hz G-Sync (or no) Full HD. There are 3 storage configurations. The first, consisting of 1 unit: 1TB Hybrid SSD hard drive or 1TB hard drive at 7200rpm, or 256GB SSD M.2 (SATA) or 256Mb / s SSD M.2 (NVMe PCIe) 512 GB or 1 TB. The second, consisting of 2 units combining a hard drive of 1 TB at 7200 rpm NVMe MH SSD128/180/256/512 GB or 1 TB, or an Intel Optane module of 120 GB. The third combining 3 units: 1 TB at 7200 rpm 2 SSD M.2 NVMe PCIe. We also find up to 16 GB DDR4 2400 MHz of RAM (2 slots) or 32 GB DDR4 2666 MHz of RAM (2 slots), 2 speakers, a webcam Full HD with microphone, a card reader or a connectivity Wi-Fi ac (2×2), Bluetooth 4.1 or Bluetooth 5.0, HDMI 2.0, mini DisplayPort 1.2, Gigabit Ethernet Killer (E2500), Headset, Mic, 2 USB 3.0 (1 PowerShare), 1 USB 3.1 Type-C (Gen1 ), 1 USB 3.1 Type-C (Gen2) Thunderbolt 3 or an Alienware Graphics Amplifier port (to connect an external graphics unit). The Alienware 17R5 stands out with its 17.3 inch format. As a result, it weighs 4.42 Kg and measures 424 x 332 x 29.9 mm. The keyboard is also available with 9 programmable user keys and its backlight system can be done in 13 zones. The webcam has an option Tobii Eye-Tracking (infrared or not) Windows Hello. On the processor side, you have the choice between a Coffee Lake Hexa Core i7-8750H or Hexa Core i9-8950HK. On the display side, the display can be either 60Hz 300nits G-Sync (or not) IPS Full HD(1920×1080), or 60Hz G-Sync (or not) 300 nits IPS 4K (3840×2160) or 5ms TN 400nits 120Hz G-Sync (or not) QHD (2560×1440).